ON THE GO OC - Things to do with your family. : Merry Farm is Coming to Town This Weekend! Merry Farm is Coming to Town This Weekend! 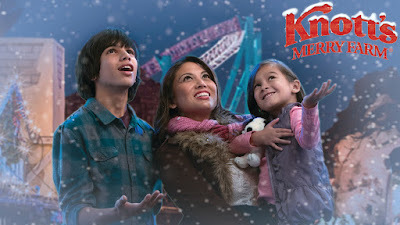 Knott's Berry Farm Brings Back MERRY FARM! As if the 75th Anniversary of Ghost Town was not enough to celebrate, Knott's Berry Farm always goes super Holiday, over the fantastic festivities of Merry Farm. We have attended this Holiday event in the past and the kids love it...who am I kidding... we all love it! Here are some of the deets on Merry Farm - The celebration kicks off on November 19th! 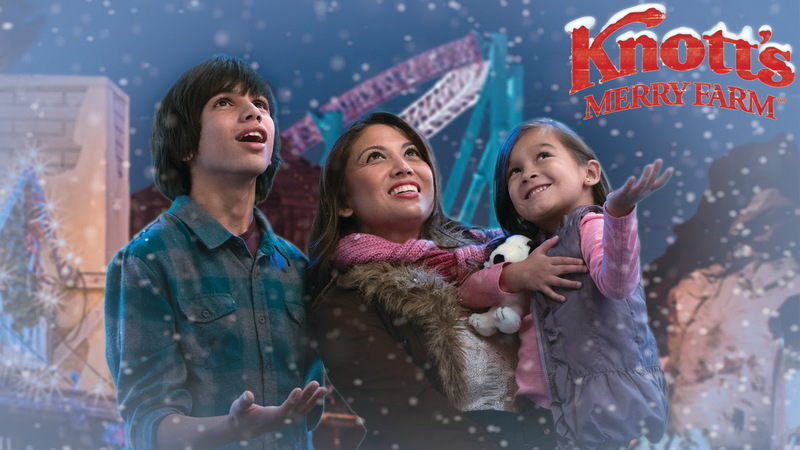 From November 19 through January 8, 2017, Knott’s Merry Farm celebrates the merriest of seasons with unforgettable holiday experiences, charming sights and sounds, treasured traditions and delectable treats, throughout the park. * Santa’s Christmas Cabin, where you can meet Santa and savor Knott’s famed holiday treats such as gourmet hot chocolate with marshmallows, freshly poured-to-order maple lollipops, delectable homemade holiday churros and extra creamy Santa’s Milk and Cookie shakes. * The all-new It’s The Merriest Christmas Show Ever, Charlie Brown at the Calico Mine Stage where the Peanuts gang put on the greatest Christmas pageant ever with Charlie Brown directing! * The all-new Calico Tree Lighting Ceremony featuring the Calico Citizens and Bell Choir followed by thousands of sparkling, dancing lights and delightful snowfall in Ghost Town set to beloved holiday tunes. * Christmas in Calico takes you back in time to celebrate the holiday season in the Old West as the citizens of Ghost Town invite you to join in their celebrations and festivities. * Merry Christmas, Snoopy! featuring Snoopy and a cast of world class ice skaters in a whimsical ice show bursting with characters and remarkable athleticism. * The all-new show A Peanuts Guide to Christmas at the Camp Snoopy Theatre has the Peanuts gang providing an entertaining primer designed to help everyone survive the holidays. * Charles Dickens’ A Christmas Carol and O. Henry’s A Gift of the Magibrought-to-life at the Birdcage Theatre.The toe tappin’, hand clappin’, comedy and bluegrass of Krazy Kirk and the Hillbillies in the Birdcage Theatre. We certainly have our favs too! The kids love to watch the Holiday shows, see the snowfall and get a sweet Holiday treat. I love to watch the kids smile, laugh and play inside Camp Snoopy with all the Holiday decor around them. Something to NOT DO - Forget your camera! Do not forget that, there are a lot of photo ops that make for Holiday Card perfection, so snap away. For more details on Merry Farm and all the specialties from sweets to shows please visit here! Have you been to Merry Farm before? What is your favorite part of the Holiday Fun? Are you going for your first time this year? What are you looking forward to most? Happy Holidays Follow along as we attend Merry Farm on the 20th and I will be live showing you all the Holiday fun.